This maxi skirt is a designer-inspired piece with a gorgeous flowy silhouette. The small pleats throughout create full volume and movement, making it the most playful skirt in your closet. This is a customer favourite for engagement photoshoots, or bridesmaids. High-waisted fit. Side zipper. Fully lined. Length approximately 44 inches. Steam or dry clean only. 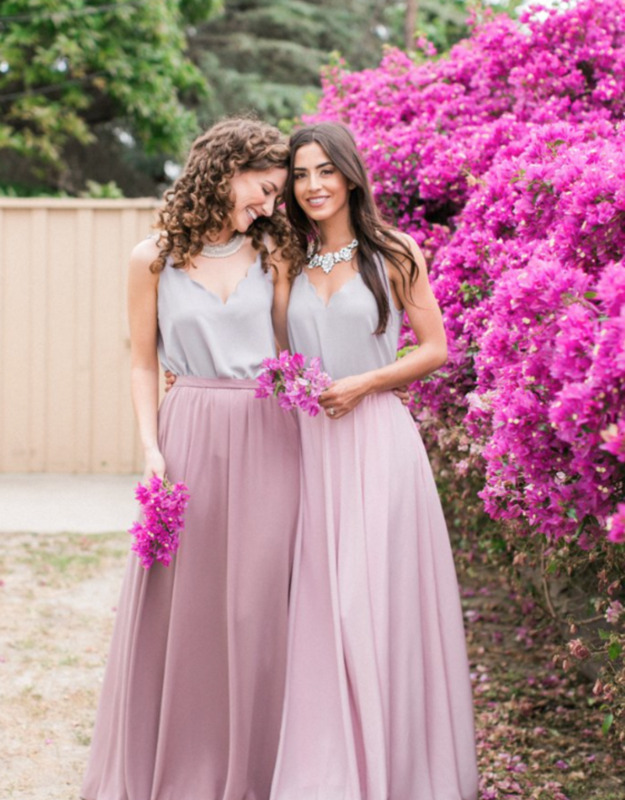 **Mauve skirt is on left in picture with two models, with Lilac skirt on the right. ** Styled here with our Carly Scalloped Cami in grey. Also looks great with our Layered Lace Top). *SKIRTS FIT SMALL* Please Measure. *Model is 5'6" and wears a Small.